Look: I have a sweet tooth, and I know it. I like sweet things. I get cravings for sticky-sweet, candy-esque things relatively often. I'm not proud of it, that's just the way my taste buds are wired. I also enjoy sour, tangy things. 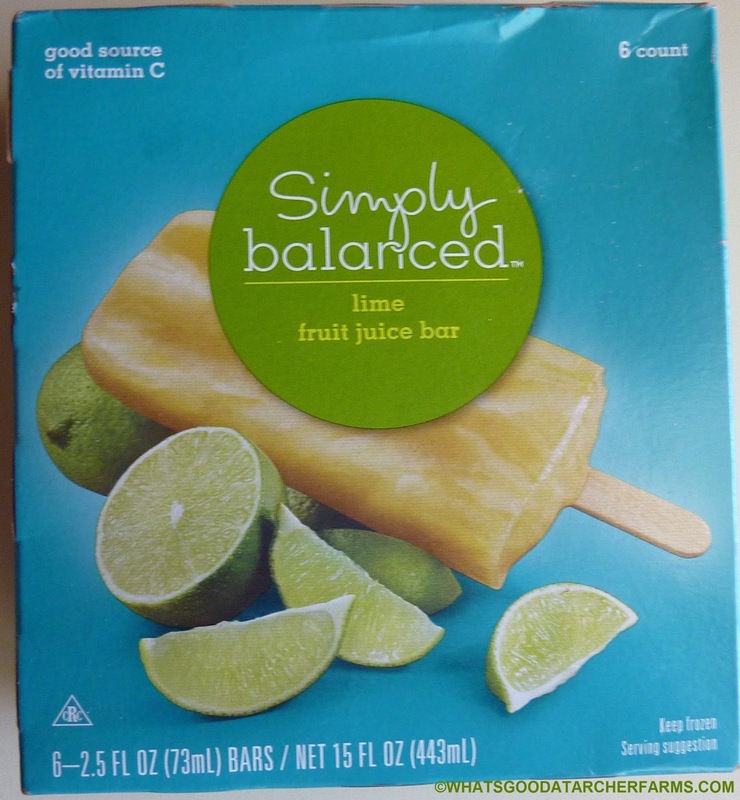 These frozen juice bars are both very sweet and very sour/tangy. But I couldn't really get into them. If anything, they were too sweet—just super syrupy. I mean, sugar was very high up in the ingredients list, second only to water. And then right after sugar is "apple juice concentrate," which, of course, is also extremely sweet. I mean, thank goodness they didn't use HFCS to sweeten these, but honestly, I think they could have made due with the apple juice alone. 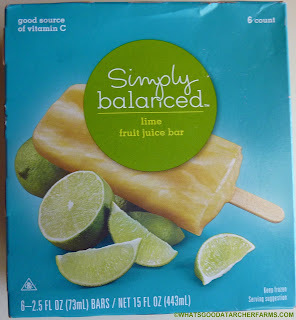 They tasted and felt like concentrated margarita mix frozen solid into popsicles. Like I wanted to melt them down and add tequila, water, and salt just to dilute the syrupiness of the product. On the plus side, they did indeed taste like lime. Somehow the tartness of the lime juice did power through the sticky sweetness of it all. And really, 90 calories per bar isn't all that bad when one considers how indulgent they felt and tasted. I guess I was just hoping for a light, refreshing flavor, rather than the gooey, drippy, sickly-sweet product these turned out to be. After mowing the lawn on a hot summer day, I would definitely not turn to these bars for a cool down. I'd go for something a little thinner. I give these fruit bars 6 out of 10 stars.